Haruhi Suzumiya Tsuruya Maid Cosplay Costume. 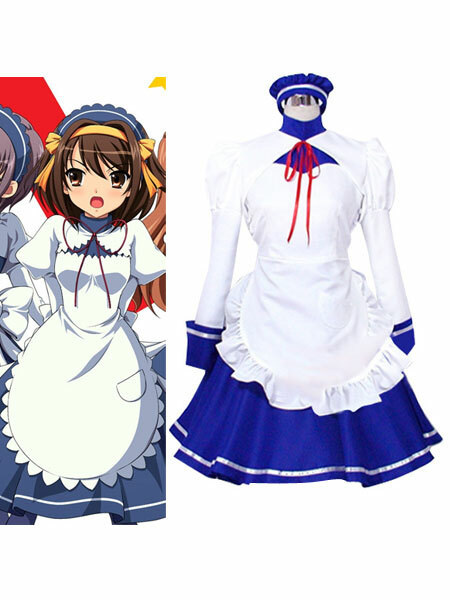 CosplaySuperDeal.com as professional online Cosplay toko Supply Cosplay Costumes, Cosplay Wigs, Cosplay Mask, and other Cosplay Accessories at reasonable price, high quality, best service.. Wallpaper and background images in the Haruhi Suzumiya (Character) club tagged: haruhi cute. CosplaySuperDeal.com as professional online Cosplay toko Supply Cosplay Costumes, Cosplay Wigs, Cosplay Mask, and other Cosplay Accessories at reasonable price, high quality, best service.